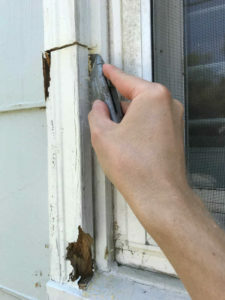 Brickmould–the trim around most doors and windows–is often the first part of a home exterior to rot. 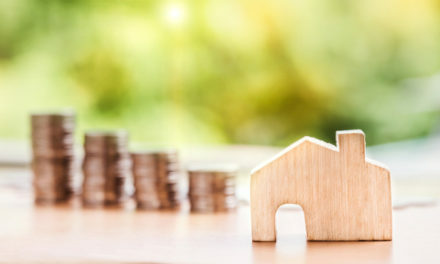 The bottom ends of brickmould pieces tend to soak up water sitting on the lower sills, and fungal growth in the unsealed wood soon leads to deterioration. 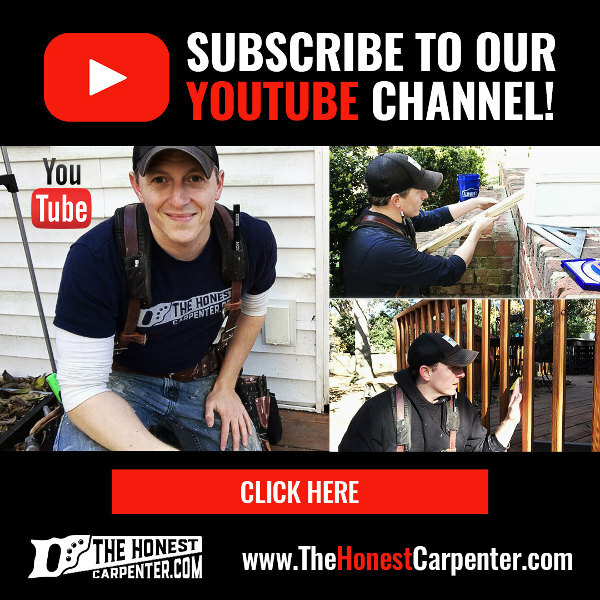 This article will show a very fast, efficient repair that many carpenters use to handle this common problem. 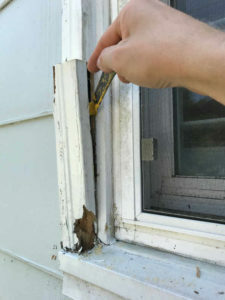 If done correctly, this repair can cost less than $10 a window, and last a lifetime. 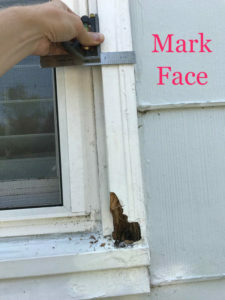 And the video below will show the same repair on exterior doors! And a TRIM PRY BAR helps get further separation with low impact! The most cost-efficient way to tackle this repair is to simply replace the bottom 10″-12″ of brickmould, rather than an entire piece. 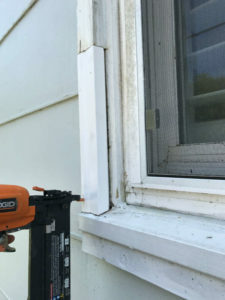 In 99% of exterior trim rot situations, the damage is limited to this small area down near the sill anyways, and so very little new material is required to carry out the replacement. 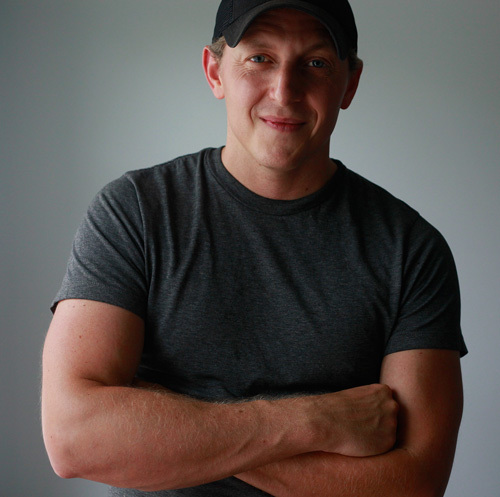 The one tool that is totally indispensable to this job is the oscillating multi-tool. I’ll discuss its function in the article, but I truly believe that every DIYer should have one! 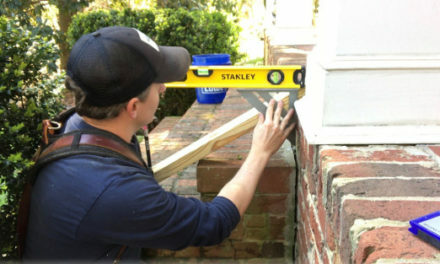 With the tab of your tape measure sitting on the windowsill, draw out the tape and place a small pencil mark on the face of the brickmould at 11″. 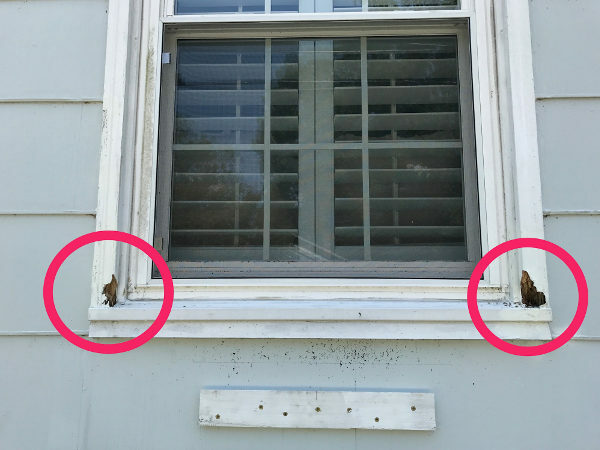 If both sides of the window are experiencing rot, do the same on the far side of the window as well. Use a combination square to scribe a perpendicular line across the face of the brickmould through this mark. Just set the cheek of the square against the inner edge of the brickmould and let the measuring blade act as a guide for your pencil tip. By far the easiest tool to carry out this plunge cut with is a oscillating multi-tool. I’ve written an entire article on the oscillating multi-tool here, so check it out if you want to learn more about how it works. You might even want to think about getting one just for this project–that’s how big of a difference it makes! If you are using a oscillating multi-tool, just turn the saw on, hold it perpendicular to the face of the brickmould, and carefully score a thin cut across the marked pencil line. With this control cut now guiding the blade, you can begin pushing the saw into the trim piece. Move it side to side in small sweeps to clear material out of the cut line. When you’ve pushed it in about 1″, you’ll feel it punch through the back of the piece. That’s it–your cut is finished! Use a utility knife to cut all of the caulk lines around the perimeter of the piece you want to remove. 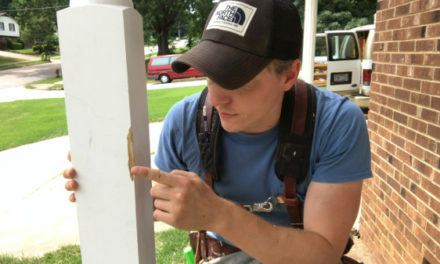 Then, use a 5-in-1 Painter’s Tool to carefully pry the piece away from the wall and jamb. You don’t want to use too much force in this operation. 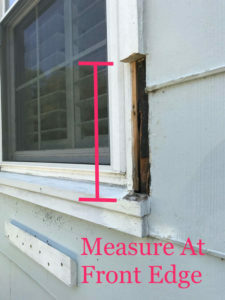 The siding pieces, the wooden jamb, and the sill can all be harmed or broken by forceful prying. Just try to shimmy the piece away from the wall. When you’ve worked a little gap behind the piece, you can switch over to a trim pry bar to get a little more leverage in pulling it away. 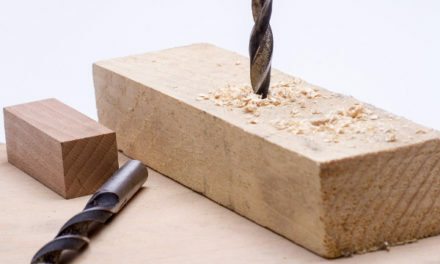 If the piece leaves nails behind, pull them out or break them with needle-nosed pliers. Also, scrape or peel away blobs of caulk left around the perimeter of the old piece. Measuring for a new piece is slightly trickier than it seems. 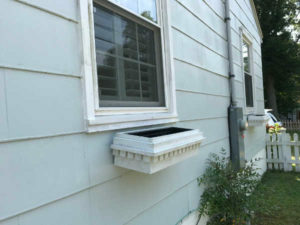 Windowsills are “bevelled” (or sloped), so the replacement piece will necessarily be shorter at the back than the front. You want to pull your measurement at the front of the area where the new piece will sit. This will ensure that you are accounting for the full required length of the piece at its longest point. Set your tape on the sill where the long point of the replacement piece will rest, and pull up to the bottom edge of the cut above. Find the measurement, and then take about 1/16″ off this number to provide a little wiggle room for the new piece. Always use PVC brickmould for your replacement pieces! This polyvinyl composite trim is now as cheap as wood trim, and it will never rot or deteriorate. It’s also very lightweight and easy to cut. 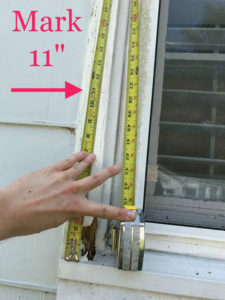 Just use a miter saw to cut a 15 degree angle on one end of your new PVC trim piece (to account for the sill bevel). 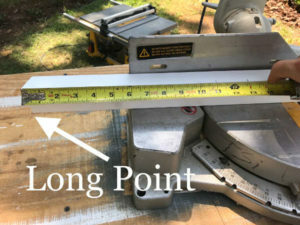 Then, hook your tape onto the long point of this cut, draw it out, and place a pencil mark at your desired measurement. 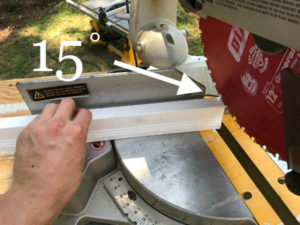 Swing the saw back to 0 degrees and cut at your mark line. 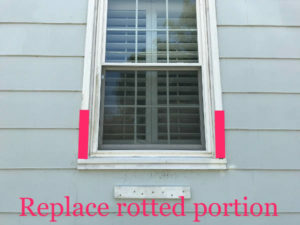 While you’re doing this, just be sure to keep in mind which side of the window casing your replacing. 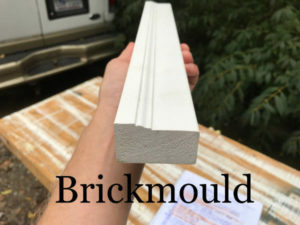 Brickmould has a slight edge profile (as seen in the top picture), and the thicker part of the trim will need to sit to the outside of window. Test fit your new piece by sliding it into the gap where the old piece used to be. Again, a little wiggle room is desirable here, so make sure you’re not forcing it. Getting the new piece lined up with the existing portion above it can present some challenges. The new piece may not want to sit flush with the upper piece. You might need to add some tiny shims (even just little bits of cardboard or paper) to bring it out a little. When you have the replacement piece firmly positioned where you want it, shoot a couple 2″ brad nails through the face with a brad nailer. Make sure the brads are punching into wood at the back (either the jamb, or the framing lumber of the rough opening). If the new piece sinks below flush a little, or jostles while you’re shooting it, you should be able to pry it back out a bit with a 5-in-1 tool and tap it side to side if necessary. Use your utility knife to open a new tube of siliconized latex caulk. Cut very close to the tip of the tube so it will only be able to squeeze a very fine bead of caulk out. 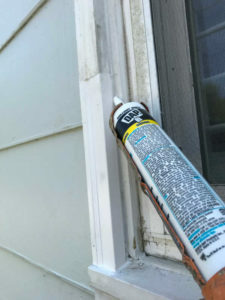 Now, apply a bead of caulk to the entire perimeter of the replacement piece. Use your fingertip to tool the caulk into valleys, and force it it into the gaps above or below the piece. Being that most brickmould comes in 8′ sticks, you should have a little over 6′ of PVC trim left. Go check out your other windows, see if any of them are showing even the earliest signs of rot. If so, you might want to go ahead and carry out this repair preemptively. 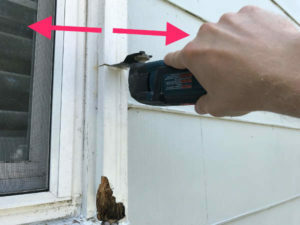 Your $10 stick of trim and $3 tube of caulk might be enough to repair four windows in all!